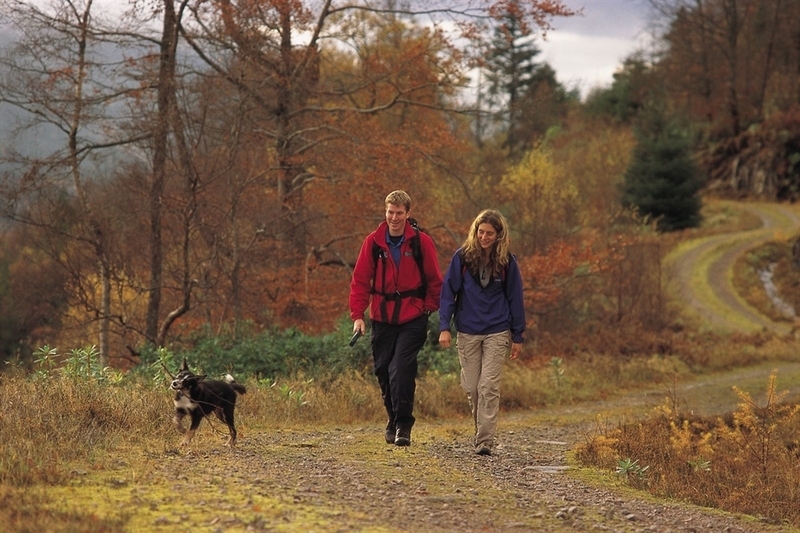 The Great Glen Way is a popular and challenging walking route, a connecting string between the towns of Fort William and Inverness. Stretching 117km across the Highlands and beginning at the end of West Highland Way, visitors can walk along the natural fault line which divides Scotland's coasts. 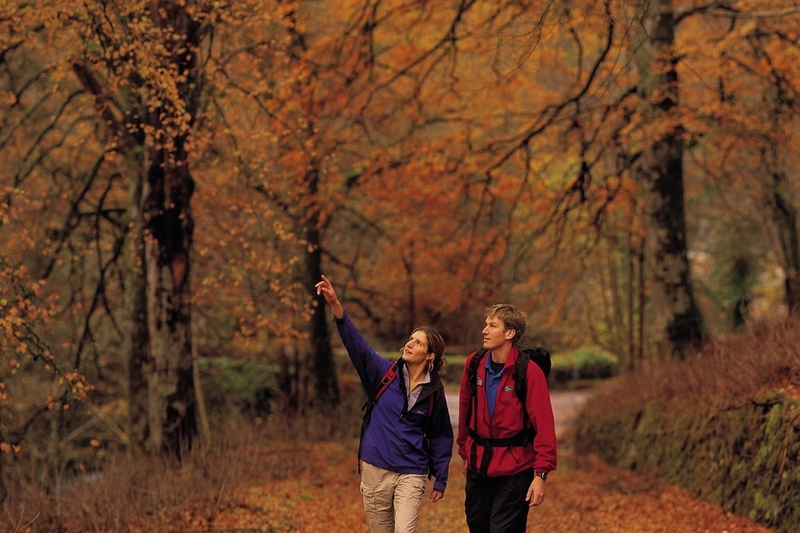 Along the route, visitors can stop by some of the most stunning spots, including Loch Lochy, Loch Oich, forests surrounding Loch Ness and also along the towpath of the Caledonian Canal, built by Thomas Telford. The walk can be taken at different stages and many walkers choose to begin in one of the following towns and villages: Gairlochy; Laggan; Fort Augustus; Invermoriston, and Drumnadrochit. Paul Tomkins, VisitScotland. All rights reserved. TWO WALKERS MAKE THEIR WAY ALONG A SINGLE TRACK ROAD STREWN WITH FALLEN LEAVES WHILST WALKING IN THE GREAT GLEN NEAR INVERGARRY, HIGHLAND. Paul Tomkins, VisitScotland. All rights reserved. TWO WALKERS MAKE THEIR WAY ALONG A SINGLE TRACK ROAD STREWN WITH FALLEN LEAVES WHILST WALKING IN THE GREAT GLEN NEAR INVERGARRY, HIGHLAND. Paul Tomkins, VisitScotland. All rights reserved. TWO WALKERS OUT WITH THEIR DOG MAKE THEIR WAY ALONG A FOREST TRACK WHILST WALKING THE GREAT GLEN WALKING ROUTE NEAR INVERGARRY, HIGHLAND. Paul Tomkins, VisitScotland. All rights reserved. 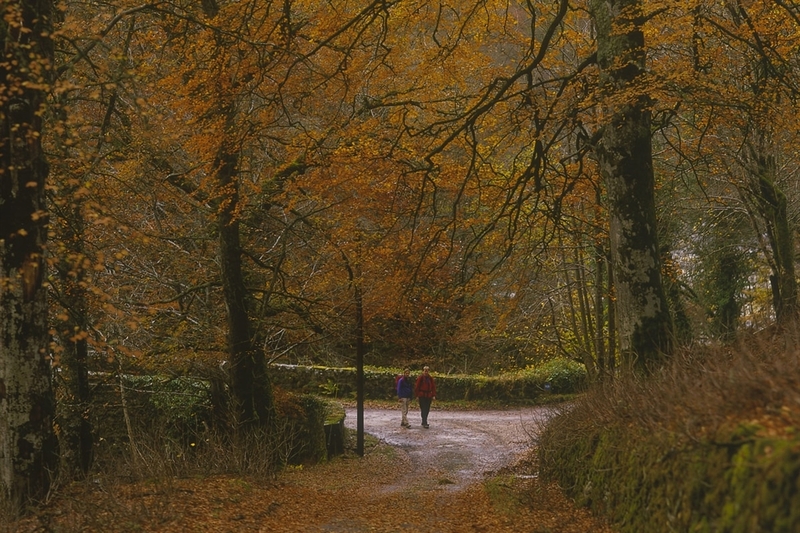 TWO WALKERS MAKE THEIR WAY ALONG A SINGLE TRACK ROAD STREWN WITH FALLEN LEAVES WHILST WALKING IN THE GREAT GLEN NEAR INVERGARRY, HIGHLAND.